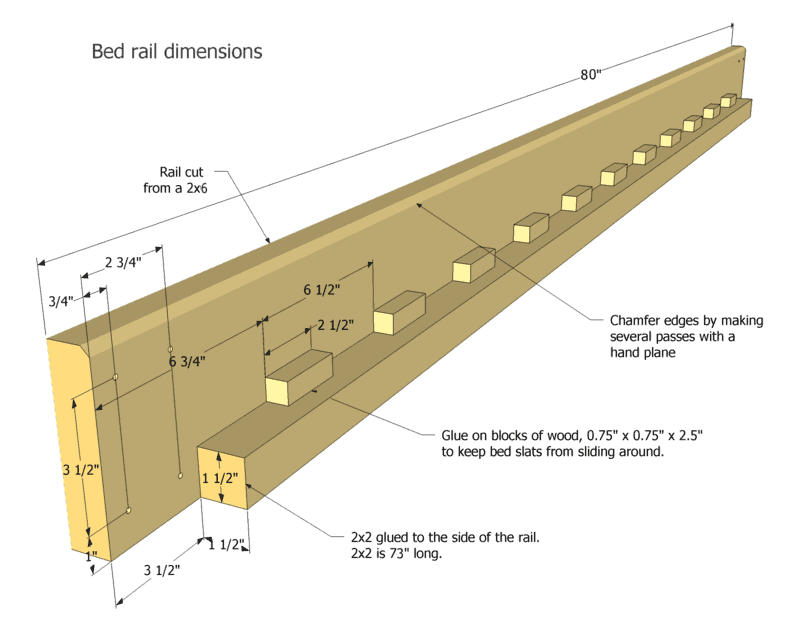 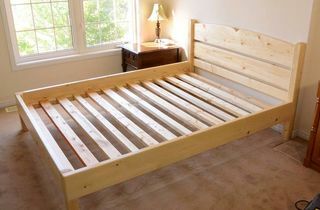 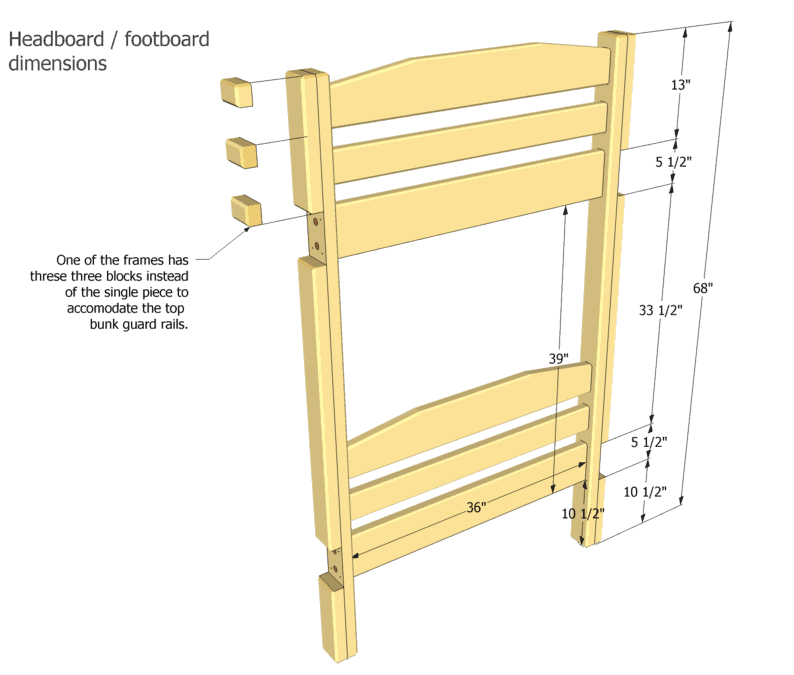 Headboard and footboard are identical, except that one of these has part of the post different to accomodate the guard rails. 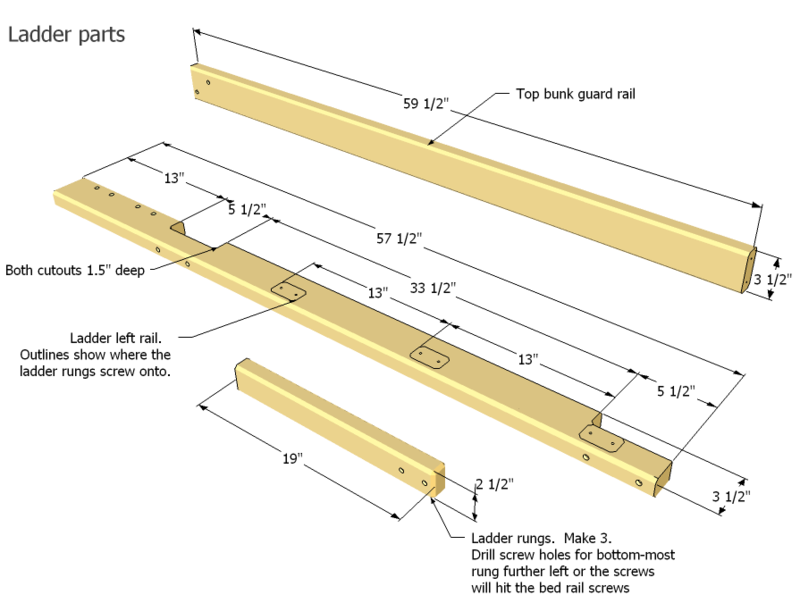 The ladder is just screwed onto the rest of the frame to permit easy disasslembly for moving. 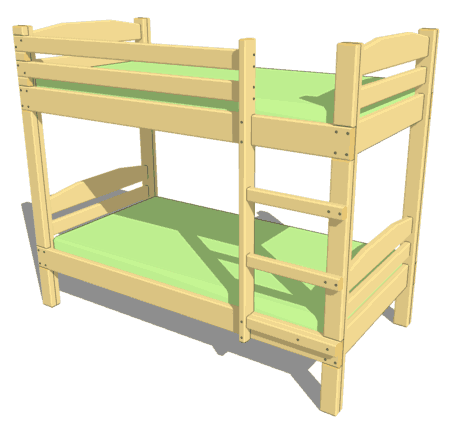 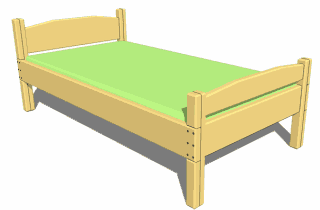 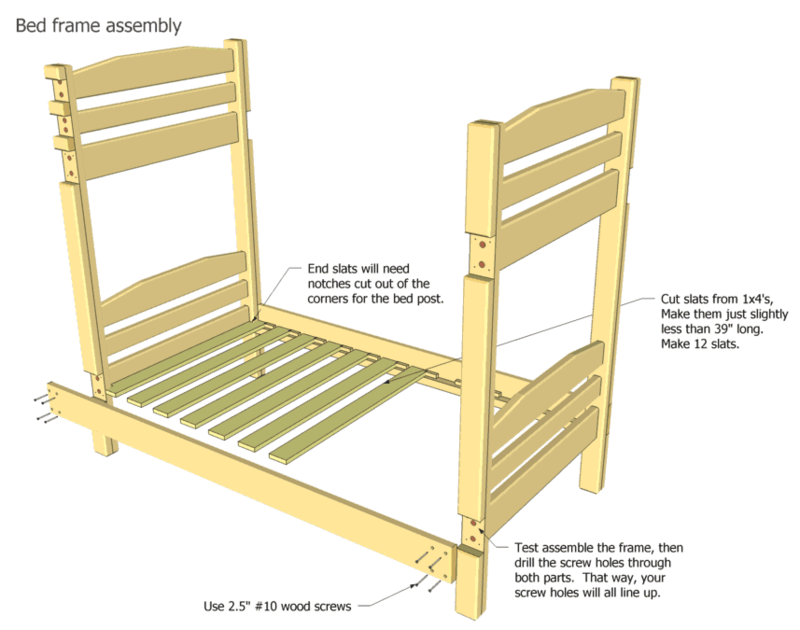 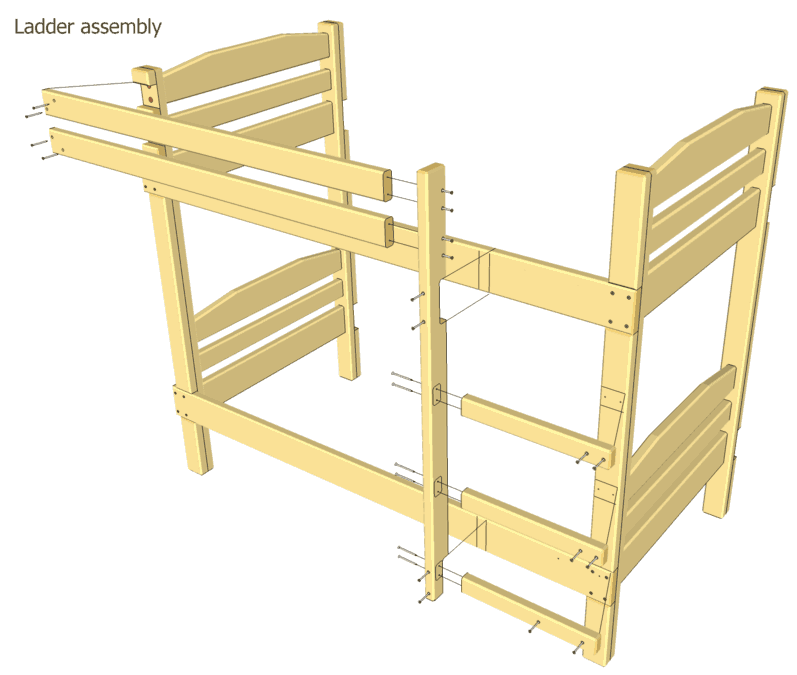 You can also download the Sketchup model of this bunk bed. 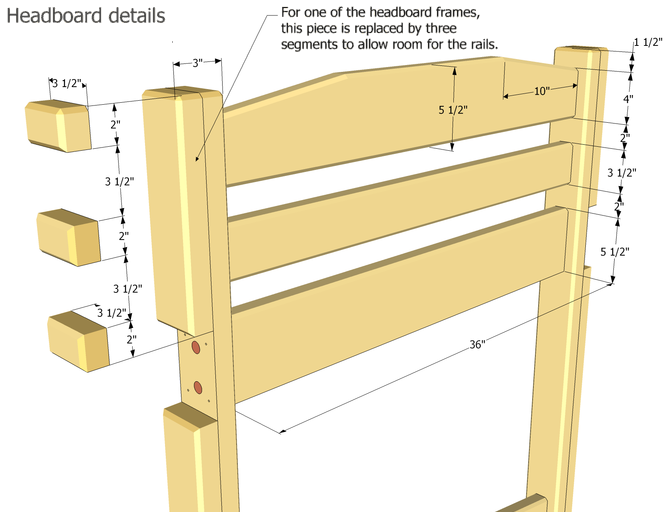 Jason Pell has converted the plans to Metric and for Australian lumber sizes.